The smartphone ships with a 5.5 inch IPS LCD display that is protected by Corning Gorilla Glass 3. Design: This is where all brands are innovating and LG 's subtle curve design in the G4 is an improvement over its GFlex 2. The leather-finish back panel along with power, camera and volume rocker keys in the back gives the user a fresh and easy feel while using the phone. The phone, which weighs around 155 grams, has a single 4G LTE SIM. Unlike most flagship devices, LG chose the option of a removable battery. Display: The smartphone ships with a 5.5 inch IPS LCD display that is protected by Corning Gorilla Glass 3. The device has a screen-to-body ratio of 72.5 per cent and the screen has a 1440*2560 resolution with a pixel density of 538 ppi. Camera: This is the major focus area of the phone. The electronics major has challenged the camera of Samsung S6 that uses a f1.9 lens. LG says its camera is better. The phone comes with a 16 megapixel rear camera and an 8 megapixel front camera. The camera module features a wideangle F1.8 aperture lens that allows 80 per cent more light to reach the sensor and also has the second version of the optical image stabiliser. Photos taken with it showed more detail but the colour contrast was lack-lustre. The rear camera has a resolution of 5312 x 2988 pixels and has laser autofocus with an LED flash unit. The manual mode offers more freedom and should be a joyride for photographers. Interestingly, the front camera operates in a smaller window which could be a boon or curse depending on the user. There is a color spectrum sensor (CSS), the first such feature in a smartphone. CSS improves colour accuracy by precisely reading the RGB values of the ambient light in a scene, as well as the infrared light reflected from objects. Hardware and software: The small difference between being the leader and being runner-up comes out as soon as we talk about LG G4's hardware: a Qualcomm Snapdragon 808 hexa-core processor backed by a 3GB RAM. The AnTuTu benchmark scores puts the phone lower than the Note 4, Meizu MX 4 and the Zenfone 2. Having said that, the Adreno 418 graphics processing unit (GPU) gives the best gaming performance seen till date. Nenamark scores indicate that it has the highest rating. Interestingly, the Quadrant Standard, which is a CPU, I/O and 3D graphics benchmark scoring system, ranks the phone high on the list. The phone comes with 39 sensors. The hardware could have been better, given the price. 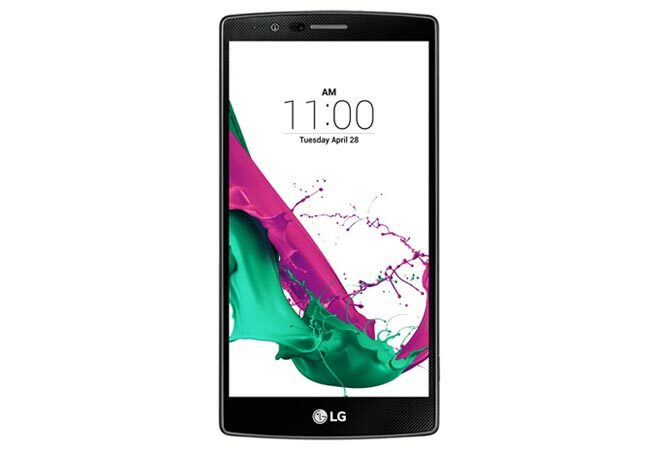 In terms of software, the device comes with Android Lollipop at the base with LG's Optimus UX 4.0 user interface (UI) on the top. The UI is fast but not blazingly fast. There are some time lags when switching between apps once the RAM counter is nearly exhausted. Storage, connectivity and battery: The device comes with 32GB of internal storage, which is the best among all smartphones till date. To back it up is the option of an upgradable memory slot that supports up to 128GB. In terms of connectivity, the device comes with options that include Wi-Fi, Bluetooth 4.0, NFC and infrared. The phone has a solid battery of 3,000 mAH that can pull it through a complete day even after heavy usage and near-full brightness. Verdict: The phone has got everything right. It has good design, excellent camera, good storage and a chirpy UI but not an octa-core processor. Call it the boys with toys syndrome or the whole V-12 engine argument, the G4 could have killed the competition if it was a tad faster. If you are looking for a real performing premium Android device, this is it.